Combining quality system components with Smart® technology to deliver a safe lab environment without the need for HVAC venting. Boston, MA, August 2018: Pure Process Technology is proud to announce a technologically secure method of dispensing solvents in the laboratory space. Pure Capture™ is an innovative solvent dispensing system designed to reduce risk and increase safety for lab personnel without the need for HVAC venting. PureCapture™ SDS is the brainchild of Pure Process Technology, an original equipment manufacturer of solvent dispensing systems with over two decades of successfully designing, manufacturing, and maintaining standard and customized solvent and water purification systems; and Erlab, a 50 year international leader in the field of filtered laboratory safety enclosures, whose quest is to transform current lab environments into zero-emission environments and provide safe research conditions. 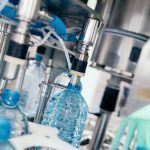 This collaboration has resulted in a technologically advanced product that is positioned to be the SDS industry forerunner, delivering reliability in energy savings, control and cost reduction package for the safe dispensing of solvents in the laboratory space. 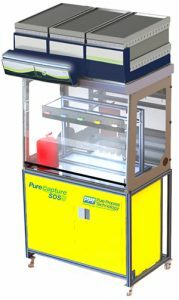 To find out more about the PureCapture™ SDS (Solvent Dispensing System) and get a quote, contact Pete Sampson, psampson@ppttech.com or visit PPT online. Pure Process Technology is a full-service OEM Manufacturer of Process Equipment in Nashua, NH. 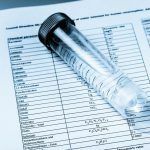 We service the requirements of institutional, commercial and industrial markets with high purity water systems, solvent purification systems, and solvent dispensing systems. 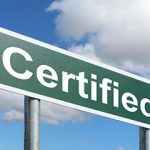 Our highly skilled engineers and technical experts design, build, install and maintain all systems which are built with quality components and adhere to exacting industry standards. (603) 598-0691 or psampson@ppttech.com, to get a quote on your next water or solvent purification system so you can get back to what’s important – focusing on your business, research, or manufacturing processes.